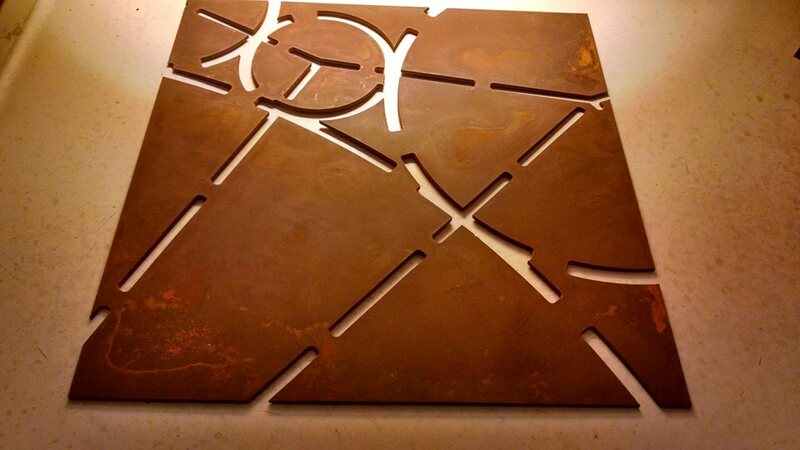 ‘Shift’ is a public art installation that serves as an interactive gateway between Regent Neighborhood and UW-Madison. 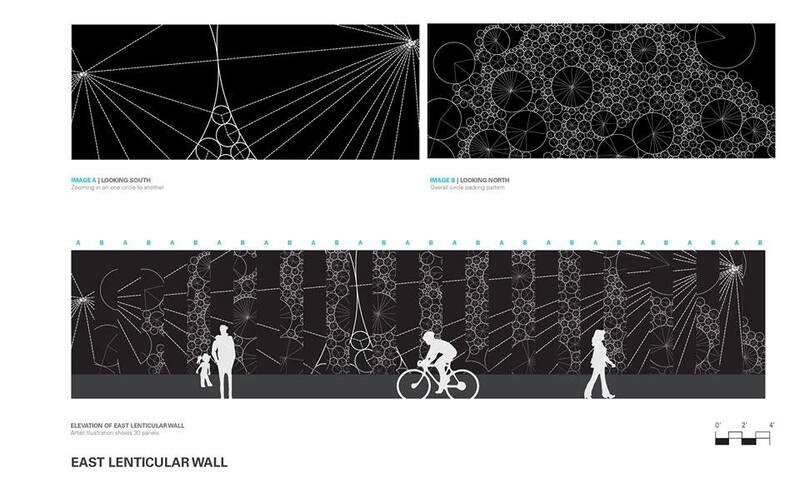 In partnership with the City of Madison, Regent Neighborhood Association and 1000 Friends of Wisconsin, Julia Schilling designed a plan to transform an ordinary underpass into a beautifully illuminated space. The underpass improves the aesthetics, walkability and safety of the neighborhood. The energy and movement of Highland Avenue is emphasized through dual-image accordion walls on opposing sides of the underpass. Individual pace and curiosity determines one’s unique experience, creating a dynamic corridor with every step and tire revolution. 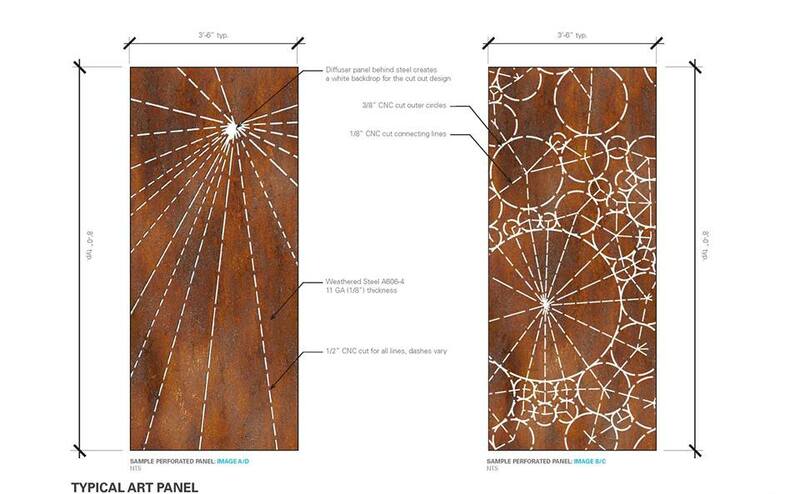 As Julia Schilling describes: The patterns created for the walls are symbolic of science, nature and connectivity. I wanted to create the opposite of a dark, undesirable tunnel by transforming the underpass into a bright, intricate ‘sky-like’ place that would remind you more of being outside in nature where everything looks different based on where you’re standing. 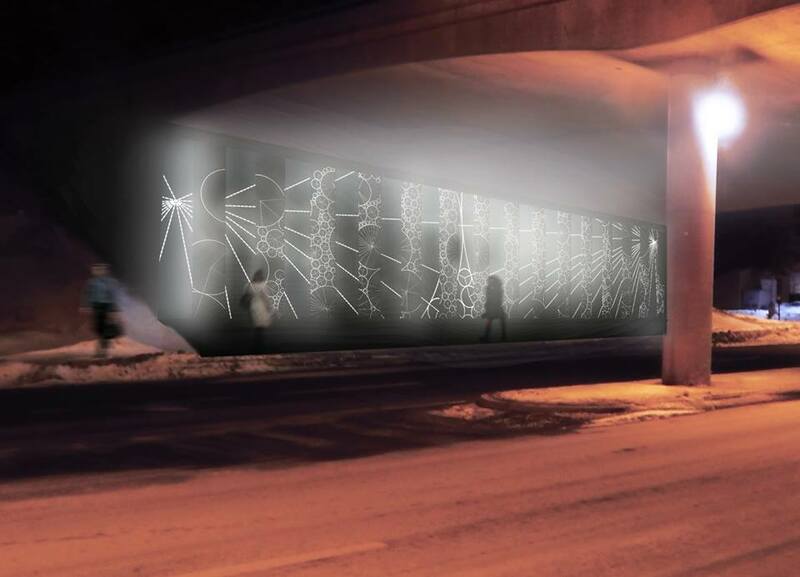 Two 70-foot light sculptures span each side of the Highland Avenue underpass beneath Campus Drive. Elevated walls of perforated weathered steel create a visually engaging passage, providing a dramatic threshold between campus and the neighborhood. 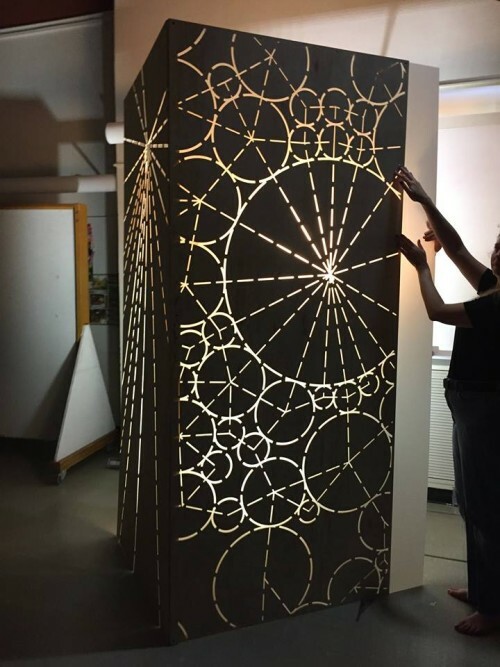 Patterns created from circle packing algorithms are punched out and backlit with a mix of warm and cool LEDs, providing an element of safety after hours. The choice of generative imagery walks the line between science and art, choice and chance.